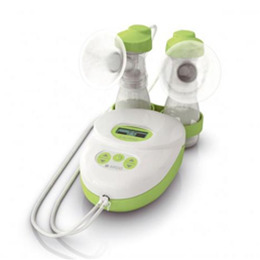 Quietest Breastpump on the Market*TheCalypso Essentials breastpump features independent vacuum and cycleadjustment - 64 total settings. "Vacuum Seal" technology creates aclosed system -- no milk in the tubes or pump. INCLUDES AA batteryfunction. Ardo's 400 hour warranty (or one year -- whichever is betterfor mom) assures the mother of a reliable Swiss-made breastpump that shecan depend on. WHO Code Compliant. Includes 26mm shell size only (sixadditional sizes available separately).